There are alerts of landslides to take place in Kerala as the rain pours heavily. Three deaths have been reported in Kerala due to the heavy rains. 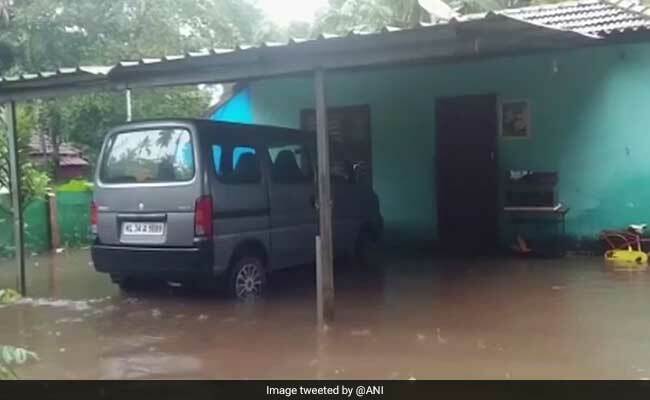 Heavy rains pounded Kerala on Monday disrupting normal life with more rainfall predicted till Wednesday, weather officials said. In Alappuzha district's Chandriroor, an uprooted fell on top of the last bogey of the Thiruvananthapuram-bound Mangalore Express, but there were no reports of any injuries. The train moved after a three hour delay. It has been raining in several districts for the past 36 hours and as a result more than 3,000 people have been rehabilitated in relief camps. All educational institutions in eight of the 14 districts were closed on Monday and most of the university examinations were postponed. The worst affected districts include Alappuzha, Idukki, Kozhikode, Wayanad, Kottayam, Kollam and Kochi. The Met Department has issued an alert for the coastal districts, warning fishermen not to venture in the rough seas. Alerts were also issued in the hilly areas warning of possible landslides. Buses to Karnataka via Wayanad district have been suspended. State Revenue Minister E. Chandrasekheran has directed his department and the district authorities to take stock of the estimated loss. So far three deaths have been reported.